The Australian College of Health Service Management Asia Pacific Annual Congress 2016, the International Conference for Adolescent Success in 2017 and 2019 and the International Conference on Document Analysis and Recognition 2019 are just some of the conferences secured for Brisbane in the next few years. 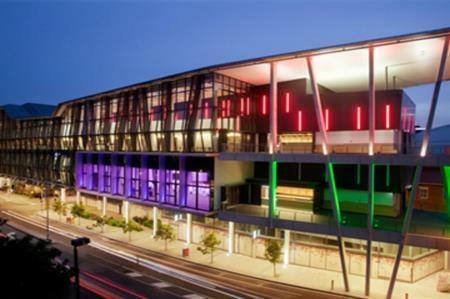 Brisbane Marketing and the Brisbane Convention & Exhibition Centre (BCEC) have worked together to secure conferences worth more than AUS$20 million for the city. Lord Mayor Graham Quirk said 28 business events would bring in more than 11,000 delegates and create 35,000 delegate days for the city over the coming years. "This is great news for Brisbane as these conferences support our venues and hotels and provide flow-on benefits to our hospitality and service businesses," he said. "These conferences alone will provide AUS$3.3 million in economic impact for Brisbane by attracting 1,500 delegates and creating 5,700 delegate days." Cr Quirk added that this year is looking bright for science-orientated conferences, with two organisations bringing their business events to the city to tie in with the World Science Festival Brisbane. The festival is one of the world’s premier science and arts events and it will be hosted in Brisbane in March next year – the first time it has been staged outside New York. The peak body for Australia’s Cooperative Research Centres, leaders in many fields of scientific endeavour, and the Australian Science Communicators, an association dedicated to making science accessible to everyone, will both bring their annual conferences to Brisbane to align with the festival. BCEC General Manager Bob O’Keeffe said Brisbane’s collaborative approach was key to winning conferences for Brisbane. O'Keeffe said: "BCEC has worked with Brisbane Marketing for over two decades on the bids the centre generates to secure these high-yield events for the city."